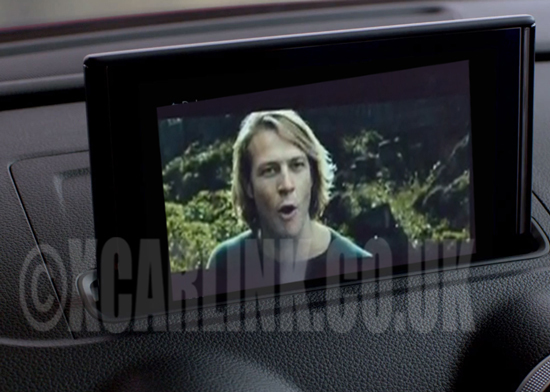 Our multimedia interface is a revolutionary product that allows you to integrate an external video source to your cars factory fitted A3 screen. 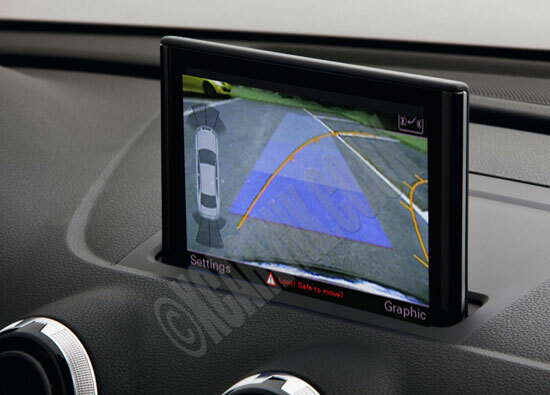 Once installed, it gives you the ability to connect an in car Smart Phone Mirroring, DVD player, Digital TV Tuner, Front view or Rear View Camera. The multimedia interface has a total of two video inputs, rear view camera input and RGB connection to add Satellite Navigation if you do not have the factory fitted option. The interface provides OEM style Dynamic parking guidelines and also retains the original Parking sensors when in rear camera mode. The interface does not replace your original system - it offers perfect integration to maintain your OEM appearance. This version of the interface has been updated and now supports the very latest 2015 Audi A3. Retains original parking sensors with Picture in Picture display on the rear camera input. On screen menu system for adjusting interface settings such as Picture settings , Guidelines etc. Plug and Play Installation involves locating the infotainment unit which is located in the glove box of the Audi A3. Simply remove the existing harness and connect it to the harness provided with the interface, and then connect the new harness back into the infotainment unit. Connect the video cable from behind the infotainment unit to the interface and connect the new video cable in its place. An optional GPS Navigation Box is available to purchase with this product which is supplied with a transparent touch screen panel which fits over the existing factory screen and provides a fully integrated GPS Satnav system to vehicles that are not equipped with GPS as standard. The GPS box connects directly to the input on the Multimedia interface and is supplied with an invisible touch screen overlay. The system is then fully operated via Touch screen so there is no need need for any remotes or additional equipment to be added. Connect your smartphone via wifi and mirror the contents on your A3 screen. 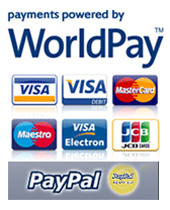 Access your Apps, Movies, SatNav etc. Boot handle replacement camera specifically designed for the Audi A3. Front camera option also available. DVD player with SD card and USB playback .